The Racing Horse has recently read the most accurate analysis of the current day bookmaker and their modus operandi and we would like to share the thoughts of leading racing writer Kevin Blake. Getting a bet on with a bookmaker with value attached is a battle we fight daily and the reason why we have to use runners and Betfair, as proportionately our wagers with the former reduce year on year. We anticipate that by 2020 only a small fraction of our bets will be placed with a High Street Bookmaker. Writing for Betfair for over 4 years made us aware of this problem years ago and we are no longer reliant on the bookmakers for most of our profits! Horse racing, in common with any sport has its share of opportunities and challenges as it fights for the public’s attention and support. The world of sport and entertainment has never been more competitive than it is now, and with it being a world that is ever changing and evolving, those sports that fail to adapt to their customers’ needs and wants are being left behind. Of all the challenges that horse racing faces in Great Britain and Ireland, one of the biggest dangers is also the one that is the least discussed in the racing media. It is a problem that has been growing steadily for the better part of a decade and now represents one of the biggest threats to the future financial stability and popularity of horse racing. That problem is the rampant practice of bookmakers severely restricting the stakes it allows bettors to place on the outcomes of horse races. Listening to the plethora of bookmaker’s PR reps that are omnipresent in the racing media, an outside observer might think that modern bookmakers are aggressive operators that take on all comers both big and small. However, unless you are an incompetent or ill-informed bettor that is a long-term loser, the reality couldn’t be further from this image. While bookmakers will do everything they can to court, accommodate and encourage bettors that have proven themselves to be consistent losers, bettors that show even a hint of competency and seek to avail of a competitive price can expect to have their stakes with online bookmakers severely restricted, often to literally cents and pennies. 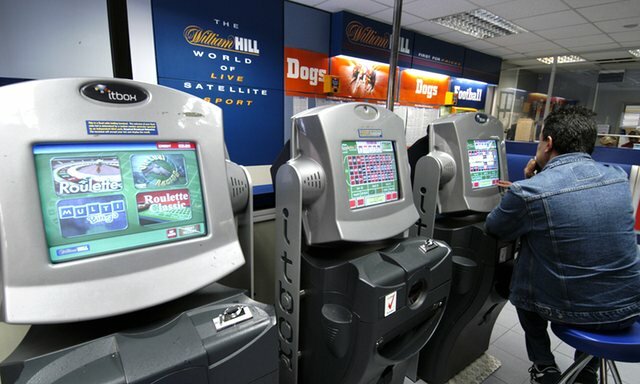 The situation isn’t much better in betting shops, with bookmakers employing all sorts of methods to make it as difficult as possible for skilled bettors to place bets of anything bar small stakes with them. The betting world has unquestionably undergone significant change in the last 15 years or so, primarily due to the popularity of the internet and online betting. This has made it easier for bookmakers to monitor their customers, but it has also led to bettors becoming more informed and aware of the importance of value. In that time there has also been a notable change in bookmaker behaviour that has led the betting industry to the situation it now finds itself in. In the past, bookmakers took pride in their bravery in taking on all comers, being willing to take losses from individuals in the hope that they would beat that customer in the long run. However, the modern reality for bookmakers is that the bean-counting accountants have taken over. The type of customer they primarily want to deal with is the small-staking recreational bettor that will bet all day long without any regard for value, strategy or discipline. How they seek to achieve this is by either closing the accounts or more commonly severely restricting the permitted betting stakes of any of their customers that show competency in their betting.. The danger of this policy should be obvious to all. Horse racing is an incredibly complex sport in which the betting odds are fundamentally fixed in the favour of the bookmakers. Becoming skilled and disciplined enough to have a chance at making a long-term profit by betting on it takes thousands of hours of work and only a very small percentage of people that bet on horse racing make it pay. With the modern reality for successful bettors being that placing meaningful stakes at fair prices is often a bigger challenge than finding winners, one could understand why intelligent, hard-working sports enthusiasts would rather dedicate themselves to getting good at betting on a sport in which they can at least bet in big stakes if they wish to without undue hassle, such as football. What is even more concerning is that risk-averse bookmaker practice doesn’t just detrimentally effect profitable bettors. One doesn’t even necessarily have to win money off the bookmaker to have their account restricted or closed, as backing horses at bigger prices than they are sent off at no matter whether they go on to win or lose is often sufficient to result in stake restrictions from bookmakers. Worse still, rather than taking these decisions to restrict bettors based on a large sample of bets, in many cases bettors are finding their stakes restricted after a mere handful of bets. This means that countless recreational punters that have been, or are likely to be, long-term losers are being caught up in the crossfire of bookmaker stake restrictions, causing no end of frustration and disillusionment amongst a group that is one of the foundation stones of the racing industry. It is hard enough to attract new customers into horse racing as it is without risk-averse bookmaker practice turning them away from betting on the sport. Given that not all horse racing supporters are regular bettors, this problem is not one that will be familiar to everyone involved in racing. Awareness of the scale and seriousness of the problem has also been stifled by the fact that bookmakers are one of the leading advertisers and employers in the racing media, meaning that precious few racing journalists and broadcasters have been willing to upset the apple cart by raising the issue. Even to those supporters of horse racing that have no interest in betting, the bigger-picture ramifications of all of this should be very clear. Whether one likes it or not, horse racing and betting are joined at the hip. In all bar a handful of super-rich racing jurisdictions, a significant proportion of the funding that funds horse racing comes either directly or indirectly from the betting industry. Whether one is talking about betting tax/levy that directly funds the sport, the lucrative media rights deals that are so vital to the finances of racecourses or the significant sponsorship/advertising revenue the racing industry attracts from the betting sector, all of it is directly linked to the popularity of betting on horse racing. If betting turnover on racing continues to drop, the value of all those revenue streams will drop, which will translate to drastically-reduced funding and media coverage for horse racing. Horse racing’s share of the betting turnover pie has already been significantly reduced in the last 15 years as betting on other sports and wagering mediums has increased in popularity. Increasingly risk-averse practice by bookmakers and active efforts by bookmakers to funnel horse racing bettors into other betting mediums that are more profitable and predictable for them, such as sports betting and casino games, are only serving to accelerate this redistribution of betting turnover. The solution to this very serious problem is simple. A precedent has been set in Australia in recent years whereby the racing authorities in New South Wales made it a requirement for any bookmaker that wished to take bets on races held there to guarantee to accept a bet from any customer to lose a minimum liability of AUS$1,000 at country tracks and AUS$2,000 at city tracks. Despite a great amount of protest from the bookmakers at the time that new rule was introduced, two years into the arrangement reports suggest that the guarantee is working to the satisfaction of both bookmakers and bettors. Indeed, a similar policy is currently in the process of being implemented in Victoria. The closest thing we have to such a situation in Great Britain and Ireland are a set of similar guarantees that were voluntarily introduced by Coral for their British-based betting shop customers, which they have expressed satisfaction with. More recently, a new bookmaker called Black Type Bet has launched in recent weeks that seeks to return to a traditional bookmaking model and offer a guaranteed bet up to a £500 liability to all comers as well as a promise not to close winning accounts. While it is admirable for Coral and Black Type Bet to take it upon themselves to offer such guarantees, if the tide of falling betting turnover on horse racing is to be reversed, the introduction of an across-the-board bet guarantee is the only realistic solution. This is too serious a situation for the government and the racing authorities to continue to ignore..
One Response to The Most Accurate Analysis of the Current Day Bookmaker! “bookmakers took pride in their bravery in taking on all comers” – this thankfully still applies with some independent bookmakers on racecourses, and I can speak from experience of working with one in particular!